Twitter user discovers intriguing stat about Antonio Conte’s recent results. Conte’s previous eight PL results mirror Mourinho’s in the weeks before his sacking. READ MORE: ‘I’M GETTING BORED’ – Conte fumes after West Ham stalemate. Twitter user @danieltiluk had noticed something rather interesting about Antonio Conte’s last eight Premier League results – and it doesn’t bode well for the Italian. Following Chelsea’s 1-1 draw with West Ham United on Sunday afternoon, our hopes of finishing inside the top four came to an end. It was looking bleak for us as it was, but you’d have thought the players would make a good go of it. They didn’t. Conte’s exit appears to now be a foregone conclusion. The deterioration of his relationship with the board and continual bemoaning of our transfer activity left us under the impression that he’d walk. However, a recent downturn in results have intensified suggestions that he could be sacked. If Conte was scrolling through @danieltiluk‘s timeline yesterday evening, he may well have had even further trouble sleeping, for the Twitter user posted the below stat. It’s further evidence of just how bad the situation is. 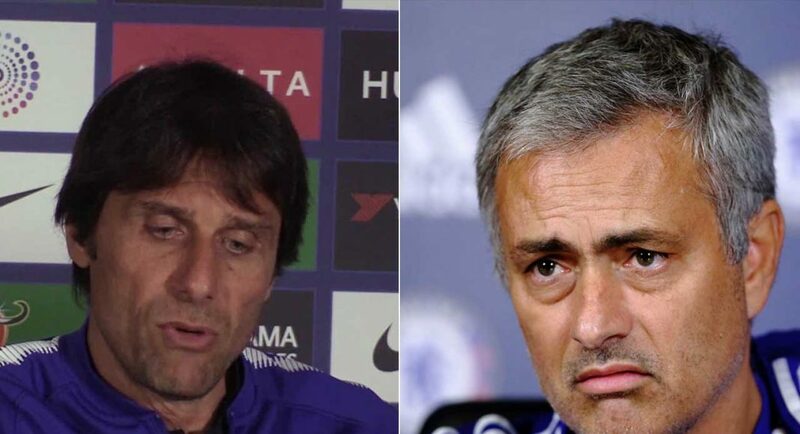 The BBC quoted Conte back in July 2017 saying that he wants to “avoid the Mourinho season with Chelsea”. He hasn’t done so successfully. With his managerial reputation battered and bruised, it may be some time before another top club comes knocking. He ought to use the cash he’s earned at Chelsea to stay entertained playing the games Casino Guru has to offer. It remains to be seen who could come in to replace Conte, should he be dismissed as Chelsea manager this summer. Both Juventus’ Massimiliano Allegri and Barcelona treble-winner Luis Enrique have been strongly linked. Former Chelsea manager Carlo Ancelotti’s name has also been thrown into the hat. One thing appears certain now, however, Conte’s days in the Chelsea hot-seat are numbered.